Newer Home with Mountain Views Across from Waterfall! – Woodbury – SOLD! Spectacular property in mint condition with prime location for outdoor activities. Newer home with antique country charm. Wide board wood floors and natural wood trim blend with modern appliances and amenities. Private location with mountain views all around and a picturesque waterfall across the street. Listen to the relaxing sound of the water while enjoying the outdoors from your deck or fire pit. Dramatic master bedroom with cathedral ceiling and fireplace. Unique second bedroom with cathedral ceiling and two lofts. First floor bedroom adjoins full bath and is perfect for elderly or handicap access. Quiet Location! Just a Five Minute Walk to Downtown! – Stowe – Sold!! 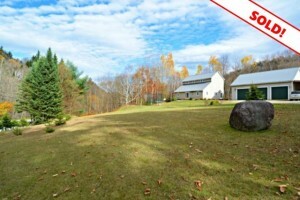 Perfect Stowe Village location with privacy and seclusion. Walking distance to all town amenities, yet set on a quiet road with just three homes. This home has been tastefully updated with a blend of old world amenities such as the charming entrance foyer, sitting room, fireplace, wood floors plus wide moldings and modern touches such as the spectacular gourmet kitchen and tastefully updated baths. There is an amazing amount of closet space with a walk-in closet plus 10′ and 7′ closets. Great finished basement with rec room. Beautifully landscaped with large yard. 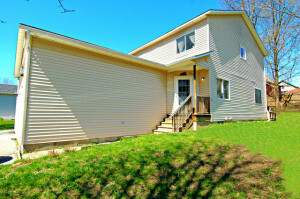 Located on Quiet Dead End Road Backing to Hubbard Park! 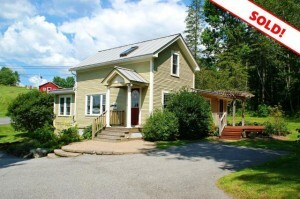 – Montpelier – SOLD!! Spacious home with quiet location on dead end street backing to Hubbard Park and just a one mile walk to downtown! Enjoy nature from this sun-drenched home with large windows offering views of greenery and woods from all windows and the two decks. 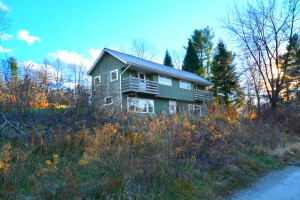 The 16′ front porch overlooks the East Hill Tree Farm designed permaculture garden with fruit trees and other edibles while the 20 x 16 back deck has a wooded view. All bedrooms are amply sized with good closet space. Largest backyard in neighborhood with large grassy area backing to many trees! This quiet location is the last building in the development. 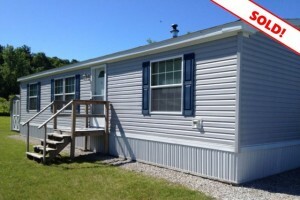 Excellent condition with new paint, carpet and tile – never lived in since replacing. Great natural lighting, newer windows and large bedrooms. Newer full size washer and dryer with extra shelving in laundry area. Large closets in bedrooms plus two large hall closets and linen closet. Two assigned parking spaces plus plenty of on street parking. 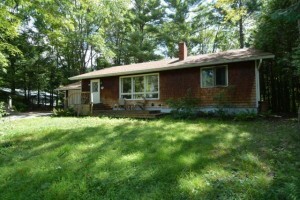 Beautiful Wooded Location! End Unit! – South Burlington – SOLD! 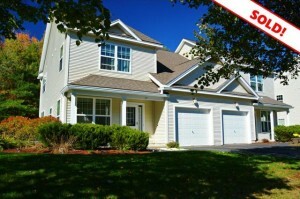 Fantastic price for two story townhome with all of this space! As of 1/2/15 there are only 3 other two level townhomes listed in South Burlington for under $160,000 and this one has over 200 square feet more space than the others – and is an end unit! 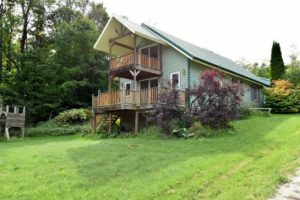 Freshly painted with a built in wine rack which no other units have, and a spectacular 18 x 11 deck backing and siding to scenic woods – this home is an incredible value. Add to that the top notch SB schools – consistently ranked amongst the best in the state. Charming Victorian With Spectacular Mountain View From Backyard, Johnson SOLD!! Charming Victorian with spectacular mountain view from backyard. 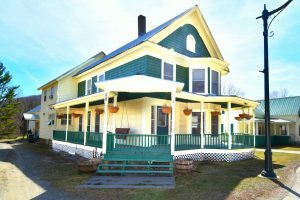 Walking distance to downtown and Lamoille River. 27 x 24 two story carriage barn could be easily converted to additional living space. Enjoy talking with neighbors and passersby while relaxing on the porch swing on your old fashioned wrap around porch with extensive 38 x 6 and 35 x 6 sections. Recently remodeled kitchen and baths. Newer flooring, windows and metal roof within last few years. There are many extras in this home including bright sunroom, first floor office and second floor playroom. 7 x 6 second floor alcove makes a nice little sitting area. Lake Iroquois Access & Mooring Rights, Close to CVU! Foreclosure – Hinesburg – Sold! 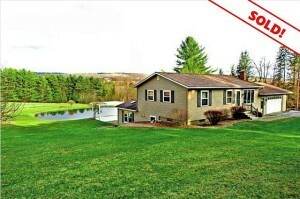 Lake access and mooring rights to Lake Iroquois just a few hundred feet down the road! Partial winter lake views. Four decks/porches to enjoy the outdoors. Red birch custom kitchen cabinets with built in wire rack and breakfast bar. Sunken living room with slider to deck. Master bedroom has large deck with dramatic mountain and lake view. First floor laundry. Septic replaced in 2000. Newer metal roof. Built in bookshelves along stairway. Boat, water ski, kayak, ice skate or swim in beautiful Lake Iroquois. Two miles to CVU High School. Natural paradise in a relaxing country setting! 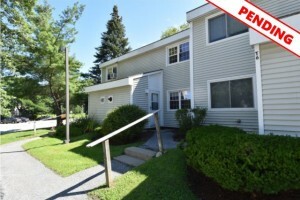 – Cambridge – SOLD! 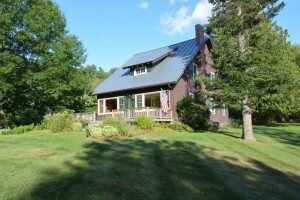 204 Urie Rd, Cambridge VT Natural paradise in a relaxing country setting! Well maintained home in a peaceful and serene country setting offers the best of both worlds – all the conveniences of a moden home with both manicured and rugged exterior aspects. A 34′ full length front porch and 8′ master bedroom balcony overlook extensive gardens and fruit trees in the front of the home. Relax in your outdoor haven with an 18 x 11 brick patio with hot tub overlooking the landscaped backyard with a fenced area for children and pets. The 21 x 12 deck is perfect for outdoor dining or just enjoying the peace and tranquility. Foreclosure in Decent Condition! Great Value! – Woodbury – SOLD! 5 Years Old – Like New Condition! 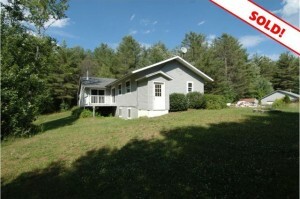 3 Bedroom, 2 Bath Home on 1.1 Acre! – St. Albans – SOLD! New Condition! 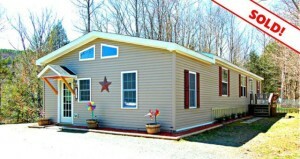 This 2009 home is in such great shape that you would think it was brand new. Fantastic modern eat in kitchen with island, copious cabinet and counter space plus a large pantry. Living room with vaulted ceiling is flooded with natural lighting. Extra spacious master suite has luxurious master bath with upgraded cabinetry, fixtures and nice bathtub. Generously sized second and third bedrooms with an abundance of closet space. Second full bath is is nicely upgraded. Twelve foot laundry room/mudroom is amply sized. Quintessential Vermont Home on Country Road with Dramatic Rock Wall! 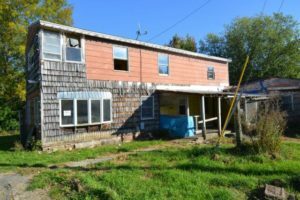 – East Montpelier – SOLD! 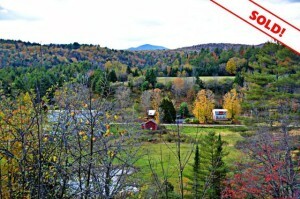 Quintessential Vermont setting on country road just two miles from downtown Montpelier. Deck overlooks splendid backyard with dramatic natural rock ledge and gorgeous mature trees. Park-like setting with extensive perennial gardens. Home is currently deemed a two bedroom, however it is very easily convertible to a three bedroom with the addition of one wall and a closet. Completely updated down to the rafters in 2001 with new electric, plumbing, windows, etc. Spectacular views from log home in a peaceful country setting – Calais – SOLD! 676 Upper Road, Calais Spectacular views from this warm and charming log home in a peaceful country setting. Living room offers breathtaking views while perched up high. Flooded with natural lighting, this room has a beautiful fieldstone fireplace with wood stove insert. Dining room also offers breathtaking views. The spacious kitchen has beautiful cabinetry. Master bedroom with gorgeous fireplace and plenty of closet space. The finished walk out basement has daylight windows and does not feel like a basement at all. It walks out onto a patio which runs with the full length of the house and shares the same spectacular view as the deck. Meticulously maintained home in beautiful wooded location with two streams on property! Oversized 2+ car garage with workshop and 31 x 25 second floor room that could be perfect office or studio. Freshly painted with gleaming hardwood floors and natural wood trim. This home offers four very spacious bedrooms with copious closet space. 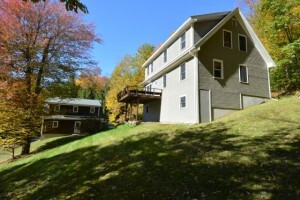 Fantastic mountain view from dining room and deck as well as partial views from living room and two of the bedrooms. Two story entryway makes a grand first impression. Beautiful living room with hardwood floor, gas fireplace and plenty of windows for abundant natural lighting. Spacious kitchen with ceramic tile flooring and breakfast bar. Dining room has hardwood floor and sliders leading onto the deck. A mudroom leads to the two car attached garage. Extra large bedrooms have copious closet space. Dramatic master bedroom has a tray ceiling, big windows, attached bath with Jacuzzi tub and large walk in closet with window. Second floor laundry. Meticulously Maintained Home in Upscale Neighborhood! 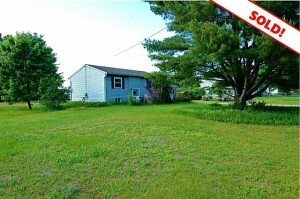 – Essex – SOLD! Beautiful living room with hardwood floor, gas fireplace and plenty of windows for abundant natural lighting. Formal dining room with hardwood floor and view of woods. Kitchen with ceramic tile flooring and breakfast nook. Spacious entryway with ceramic tile leads to one car attached garage. Built-in hutch and custom wood entry storage cubby make this home unique. Master bedroom has an attached full bath with jacuzzi tub, a 7 x 5 walk in closet and an additional 11 x 5 storage cubby. Spacious bedrooms with lots of closet space. Fantastic four family home in very good condition with many recent renovations and improvements located in the heart of downtown Hardwick walking distance to schools and all amenities. Walk to elementary school, baseball field and downtown all within three blocks and .7 mile to middle/high school. Gleaming hardwood floors, exceptional natural lighting and plenty of closet and storage space. Private beach access and mooring rights! 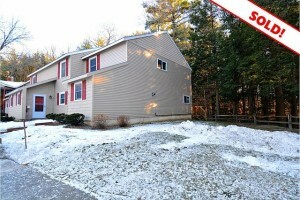 Colchester – SOLD! Magnificent home in a waterfront community with private beach access, mooring rights and partial lake view! Fantastic location just a stone’s throw from Airport Park, the Burlington Bike Path and the stunning Colchester Causeway. Launch your small boat into the Winooski River or Lake Champlain. Also just two minutes to Thayer Beach. This ultra clean home has been freshly painted and is in move in condition. Spectacular Woodwork! – Duxbury – SOLD! 5 Acres with Pond! 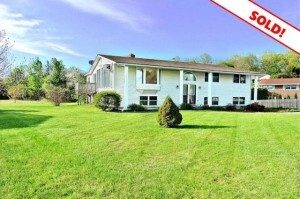 – Plainfield – SOLD! Investor’s Dream – Low Priced Home in a Nice Neighborhood! – Milton – SOLD! Investor’s Dream – Great Opportunity to Own a Low Priced Home in a Nice Neighborhood! Spectacular Value – 3 Bedroom Home! 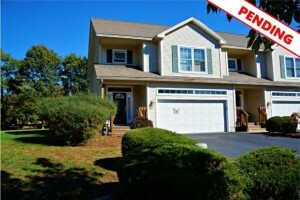 – Morrisville – SOLD! Conveniently located halfway between Stowe and Morrisville villages, this affordable home has a very pleasant location fronting to open space and mature trees. Nice three bedroom home with plenty of closet space. Spacious living room, large eat-in kitchen and a generously sized bath with soaking tub and separate shower. Open floorplan and a sunny location make this 980 square foot home feel even larger. Two Unit Home Close to Johnson State College! $99,900 – Johnson – Sold!! Two unit home (side by side), both with two stories, is now available for sale. The units are mirror images of each other. Each unit has a kitchen and living room with large picture window on the first floor with two large bedrooms and a bath on the second floor. Each master bedroom has a balcony and there is a shared deck on the back. 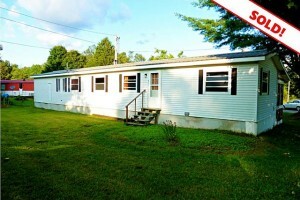 Rebuild or Tear Down – 2,900 Square Foot Home for Only $19,900! 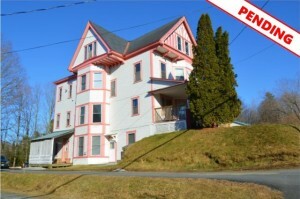 St. Albans – SOLD! 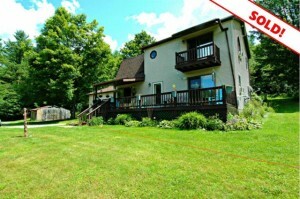 2,900 square foot home on .52 acre corner lot is ready for your creativity. Just a stone’s throw from St. Alban’s Bay, this home needs a complete renovation or tear down and build new. Beautiful property with one car detached garage that is in good condition. ** Note: House has a heavy animal urine odor on first floor. Subfloor will need to be removed. This house would be best suitable for a contractor, not an average person who wants to try to do their own work. It is a lot of work. Listing agent and current owner do not have any knowledge of systems such as heating, electrical or plumbing.